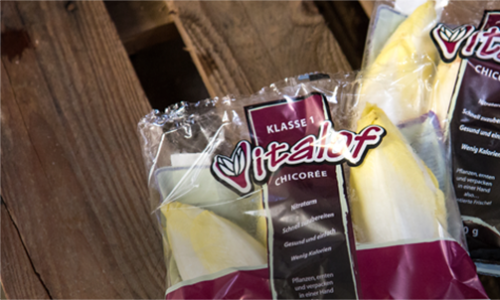 Vitalof is a company that specialises in the cultivation and packing of fresh chicory (a vegetable also known as ‘endive’). 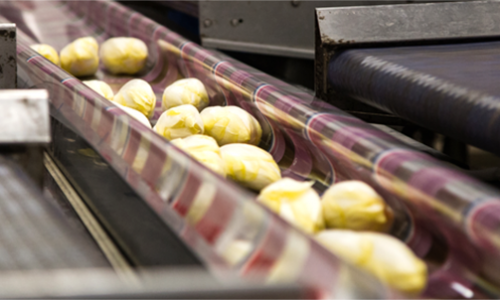 We use specially developed packing film to give the chicory long-term freshness and to eliminate almost all green discoloration. As a result, chicory from Vitalof is always fresh and looks great in the shops, this also meaning that when you as a consumer buy it, it will keep both its tastiness and its vitamin content for a long time. 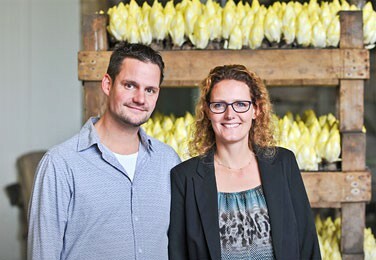 Vitalof was founded by three passionate chicory growers who guarantee that our product is a fresh, high-quality product. On this website, you will get to know our growers, you will see how chicory grows, you will read interesting and tasty chicory tips, and we will inform you about our sales options and packaging options. If you have any questions, please do not hesitate to contact us. 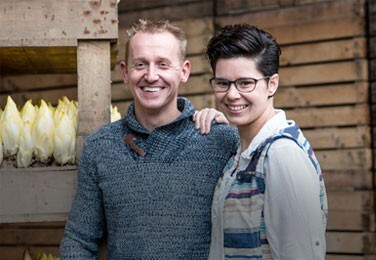 We will be happy to tell you all about the very special world of chicory! 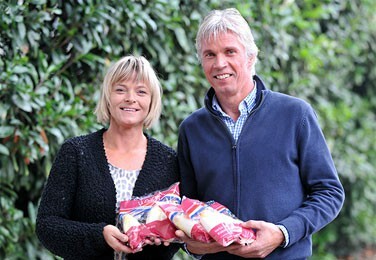 Henri and Perry Peeters have been running a chicory farm in Kessel, Limburg (NL) for more than 30 years now. Together with their employees, the Bruins family cultivate 140 hectares of chicory each year. That is 200 football fields full! At Ed and Angelique Stemkens's farm, the root waste and harvested leaves are recycled sustainably by being used as livestock fodder.